This is a great investment opportunity to purchase 5 two double bedroom flats all with active tenancies in place. Achieving an annual rental yield of 5.7%, each flat has two double bedrooms, a four piece suite bathroom comprising of a bath with and overhead shower, sink, toilet and bidet. The kitchen are all fitted with gas hobs and electric ovens and have space and plumbing for a washing machine. 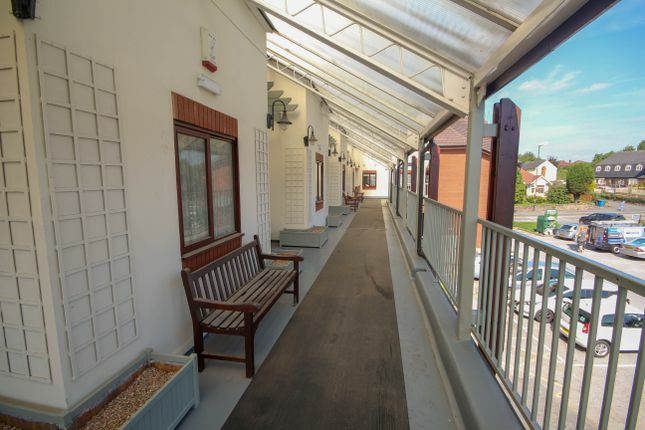 Situated in Chellaston, it is a great location for commuters who work at the local Rolls Royce or Toyota sites or even for someone working at the hospital or airport making them desirable for any future tenants. Flat 1 With a entrance hallway which houses the airing cupboard and provides a space for coats and shoes, all of the rooms lead off the hallway. The flat has two double bedrooms, a four piece suite bathroom comprising of a bath with an overhead shower, sink, toilet and bidet. The living room has enough space for a dining table to fit in too. The kitchen is fitted with a gas hob and electric oven, space and plumbing for a washing machine and plenty of wall and base units for storage. flat 2 All of the room are accessible off the hallway. With the airing cupboard providing a bit of storage, there is ample space in the hall for coats and shoes. Both of the bedrooms will fit a double bed and the bathroom is fitted with a four piece suite. flat 3 This is a large corner flat, again with two double bedrooms. It has a great sized living dining space which opens up into the fitted kitchen. flat 6 Having French doors leading into the living room there is a bay window to allow plenty of light into the room. There are two double bedrooms, a fitted four piece suite bathroom and a kitchen with plenty of unit and worktop space. Property descriptions and related information displayed on this page, with the exclusion of Running Costs data, are marketing materials provided by AKS Residential, and do not constitute property particulars. Please contact AKS Residential for full details and further information. The Running Costs data displayed on this page are provided by PrimeLocation to give an indication of potential running costs based on various data sources. PrimeLocation does not warrant or accept any responsibility for the accuracy or completeness of the property descriptions, related information or Running Costs data provided here.